We have 20 years of experience treating the most difficult conditions with the most modern and cutting edge technologies currently available. We also have extensive experience in the world of personal injury litigation which will help to protect your legal interests! Full service juice bar serving cold-pressed juices, smoothies, wraps, salads and much more. 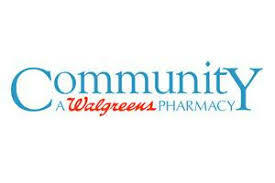 A new ‘Community, A Walgreens Pharmacy,’ has opened at 1201 N Market St in Wilmington, DE to help empower patients who have chronic, complex and rare health conditions with easy access to their specialty and traditional medications. The new Walgreens specialty pharmacy in Wilmington is one of 260+ Walgreens Community and Health System pharmacies that focus on community-based, patient-centered care for managing complex health conditions. In helping patients navigate the complexities of their treatment, Walgreens Community and Health System pharmacies provide comprehensive support, including everything from helping patients with medication adherence and therapies to connecting patients with financial assistance programs and providing refill reminder and automatic refill services. In addition to prescription services, the pharmacy offers insurance coordination of benefits and home delivery. "Outstanding Fitness at an Outstanding Price" FITBODY Personal Training Will help you achieve your fitness goals from Fat Loss to Group Classes! At FLYOGI the goal is to help you live a happier and healthier life through professional and lively Yoga sessions. We specialize in bringing private and group Yoga sessions to your workplace, home, school and community. Come try one of our weekly group Yoga classes at our one of a kind community based art gallery space in Downtown Wilmington!